I've been debating on sharing this DIY idea for a while now. It's one of the most popular items in my shop, but it's so very hard to mail without risk of the glass getting broken. It's not like you can't very easily make one yourself also, but after going back and forth on it, I've decided to share my Chocolate Emergency Kit gift printable with you for Valentine's day. I guess that just shows you how much I love you guys this holiday! 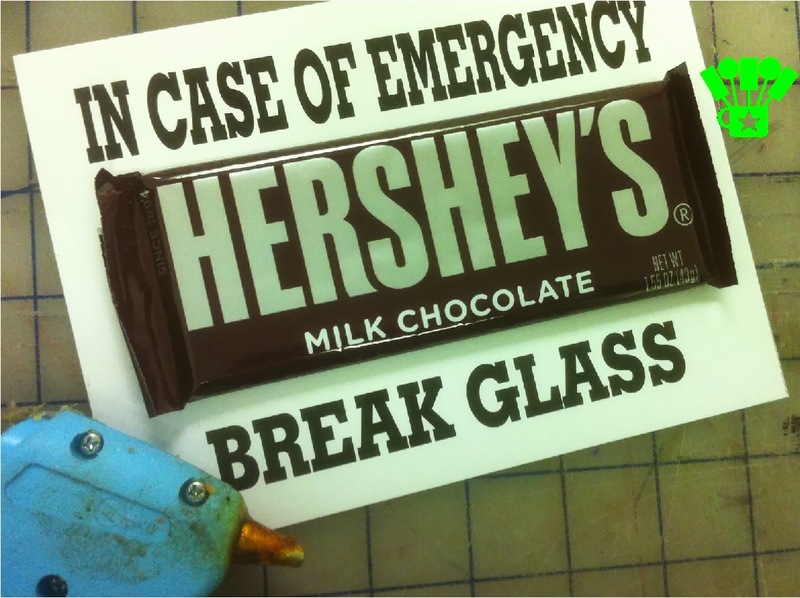 The Chocolate Emergency kit is a pretty easy gift idea for the chocolate lover in your life. 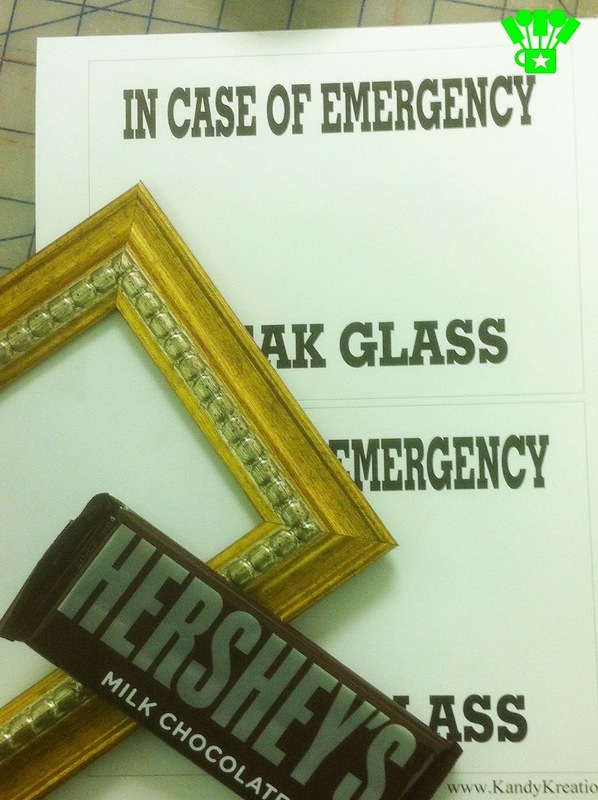 All you'll need is a 5x7 picture frame, a 1.5 ounce Hershey candy bar, and our free Chocolate Emergency kit printable. It does help to have some hot glue too, but you could use tape if that's easier and more available to you. My favorite frames are the $4.00 ones found at Walmart. They have a great back that's easy to hold the candy bar and you can find ones that look like the old fashioned 'break glass' boxes. 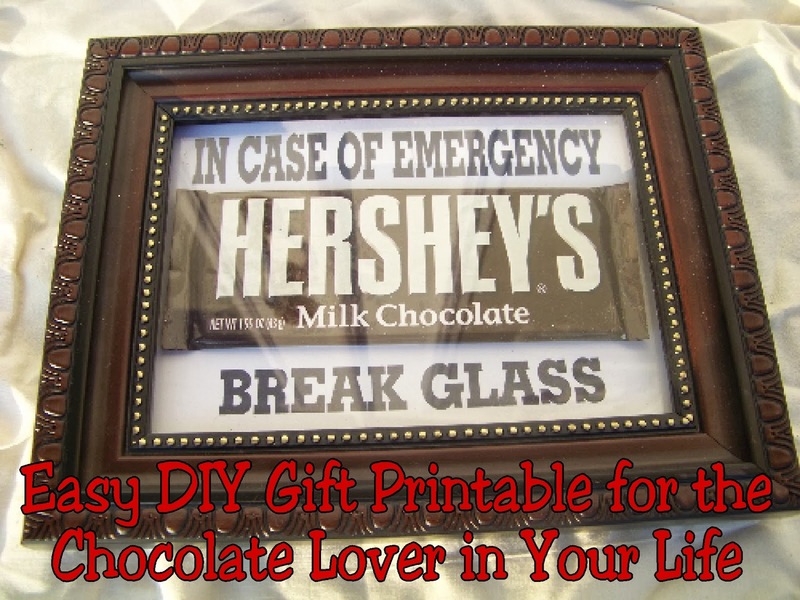 Go to my Google dropbox and download the Chocolate Emergency Kit Printable . Now go to wherever you saved it and print it onto card stock using your computer's print program. Cut the rectangle out and glue a Hershey candy bar onto the center between the wording. 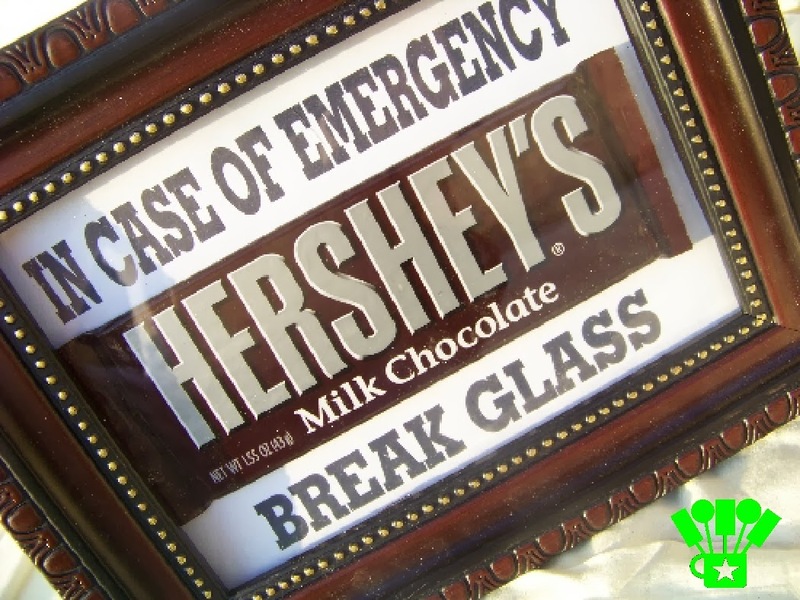 Now open the back of the frame and place your chocolate emergency inside. I like to line mine up correctly by looking at the front and then put a little bit of glue on the back of the card stock so it is stuck to the frame and won't move around when you stand the kit up. 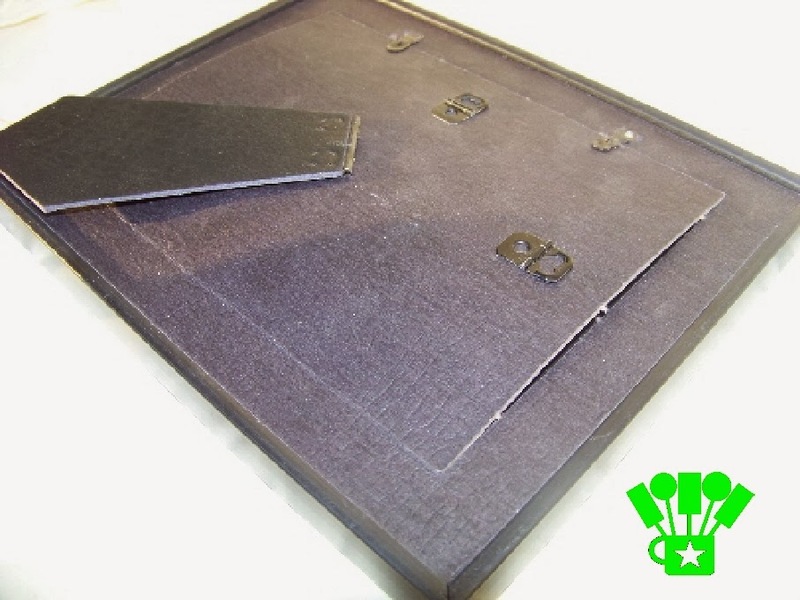 Depending upon the type of frame you use, the back of your picture frame may bulge a little once you secure it back up. I've found it easier to use the frames with the turn-able hooks so the bar will stay in without trouble. Now you have a great gift idea for the chocolate lover in your life this valentine's day. If you'd rather not make one but have the perfect loved one to give this to, the chocolate emergency kits are still available in the shop....and I haven't had one break in shipping yet, so don't stress! What are you giving your loved one for Valentine's day this year? Chocolate? Flowers? A Great Date night?